Pittsburgh remains an elite club with Crosby and Malkin serving as the best center duo in the NHL. Last season, the Washington Capitals finally defeated the Penguins en route to a Stanley Cup win. Injuries and fatigue factored into Pittsburgh’s first playoff loss in three years. The Penguins remain deep as ever, and a little bit of good health luck will lead Sidney back to the cup finals. Pittsburgh offers great NHL odds value this season, according to many sports betting sites. Washington capped off one of the least predictable seasons in NHL history by winning their first Stanley Cup. The Backstrom-Kuznetsov-Eller trio turned into the best group of centers in the league, while Braden Holtby and Alex Ovechkin shook negative playoff reputations with superstar performances throughout the post season. The Capitals remain contenders, but the Lightning and Penguins should be considered more likely to win the east. The Capitals remain contenders, but the Lightning and Penguins should be considered more likely to win the east. The Flyers haven’t enjoyed the services of an elite goalie for a couple of decades, and this trend will be unlikely to change in 2018-19. Philadelphia’s stacked at every other position, including stars like Claude Giroux, Sean Couturier, Jakub Voracek, Wayne Simmonds and Shayne Gostisbehere, but the team will not be able to compete with favorites until they sign a legit number one goalie. Three of the top four defenders enter the season on the limp, including Jones, Werenski and Murray. This will increase the challenge for all-world goalie Sergei Bobrovsky and sniper Artemi Panarin, who will need to lift coach Tortorella’s club without much help from the blueline. As such, the Blue Jackets could fall out of playoff contention, especially if Bobrovsky has a tough year. Carolina’s goaltending will be difficult to watch during the 2018-19 season. Neither Scott Darling nor Petr Mrazek look like the solution to the Hurricanes netminding woes, which is a shame considering the superb development of forwards like Aho and Teravainen. Carolina won’t make the playoffs until they solve their goaltending problem. Taylor Hall became the first New Jersey Devils player to win the Hart Trophy as NHL MVP, singlehandedly lifting the Devils into a playoff spot last season. He’ll need to repeat the feat for New Jersey to remain competitive, especially if Cory Schneider is unable to return from concussion problems. The Devils don’t yet have the talent needed to compete for the cup, even if they’re a candidate to make the playoffs. The front office of the New York Rangers decided to pull the plug on playoff hopes last season, admitting to fans that a rebuild is in the works. Henrik Lundqvist is no longer the elite goalie who backstopped the Rangers to contention every season, and New York’s currently focusing on gathering youthful talent instead of winning. Don’t expect the Rangers to return to the playoffs. There’s no polite way to express just how badly the Islanders will be affected by the departure of John Tavares. Losing a superstar of John’s caliber to free agency will not be made up by acquiring the Maple Leafs old forwards, and the Islanders still haven’t fixed their goaltending situation. Expect a long year on Long Island. As co-favorites with the Toronto Maple Leafs to win the 2019 Stanley Cup, the Lightning feature superstars at every position, including Kucherov, Stamkos, Hedman and Vasilevskiy. Point, Miller, Johnson, Palat and Gourde could be first line forwards with many clubs, revealing Tampa’s ridiculous depth. Until proven otherwise, Tampa Bay should be considered the top threat to win the Stanley Cup. Winning the John Tavares sweepstakes immediately boosted the Maple Leafs as co-favorites to win the 2019 Stanley Cup along with the division-rival Lightning. Most teams will melt against Toronto’s attack, among the best in the NHL, but defensive concerns remain. 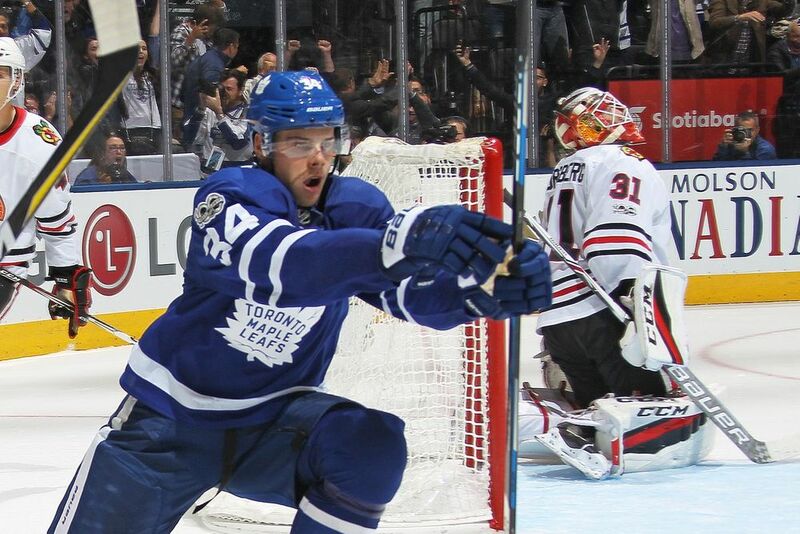 Consider the Lightning a better bet until there’s improvement from the Maple Leafs blueline. Boston boasts the best forward trio in the NHL, with Marchand, Bergeron and Pastrnak dominating most matchups. If healthy, this line will lead the Bruins to another playoff spot while challenging the Tampa Bay Lightning for top spot in the division. Tuukka Rask and Zdeno Chara have been less effective than usual in the post season, which will prevent them from lifting the Stanley Cup. The Florida Panthers were one of the hottest teams at the end of the regular season in 2018, nearly sneaking into the final playoff spot in the eastern conference. This team’s stacked with talented skaters and solid goaltending, so consider them one of the best sleeper picks in the NHL. A slew of first round lottery picks has enriched the Sabres with an amazing group of young, talented skaters, including Eichel, Dahlin and Reinhart. Buffalo will not be the worst team in the NHL, but they’re a year away from competing in the post season. A solid season from free agent goalie Carter Hutton would help stabilize franchise development. The most storied franchise in the NHL would have been the most depressing team in the league if it wasn’t for the Ottawa Senators. This year won’t be as bleak as the 2017-18 season because of fast, young talent acquired by the Canadiens. Shea Weber will remain out until mid-season at least, which will prevent Montreal from competing in the playoffs. Las Vegas bookies consider the Detroit Red Wings the least likely of all to win the Stanley Cup, an assessment which will be challenged by the lowly Ottawa Senators. Do not expect a lot of winning in Motown over the next half-year, as this legendary franchise enters a complete rebuild. There’s very little positivity in the Canadian capital after the Senators endured a complete collapse last season. Trading Erik Karlsson confirmed that Ottawa’s entering a full teardown and rebuild after nearly making the Stanley Cup finals in 2017. The Senators could finish at the bottom of the standings. Nashville won the Presidents’ Trophy during the regular season, but they ran into the Winnipeg Jets in the second round, an equally skilled and deep hockey club. Pekka Rinne swooned in the post season once again, a problem that might push Jusse Saros into the top starting goalie position. Regardless of who plays net, the Predators should be considered a strong favorite to win their first cup. The Winnipeg Jets might be the best team in the NHL. Wheeler, Scheifele and Laine are impossible to defend against. Byfuglien, Trouba, Myers and Morrisey form a massive and mobile blue line while Connor Hellebuyck enjoyed a Vezina-worthy breakout season. 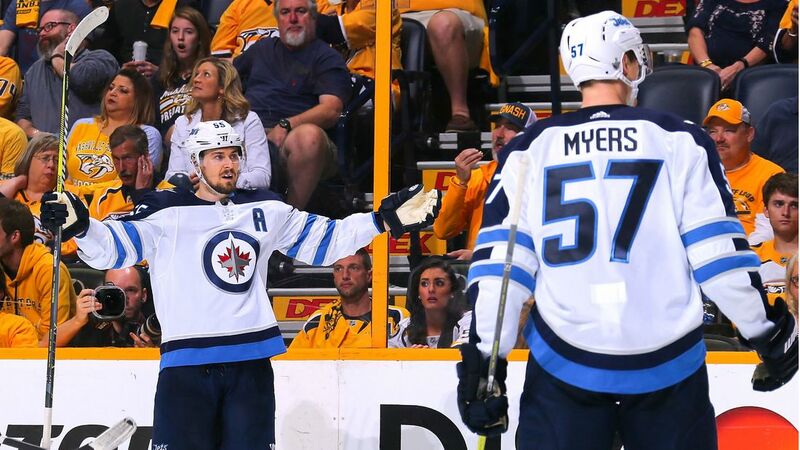 Don’t be surprised if Winnipeg finally makes an appearance in the Stanley Cup finals. St. Louis finds themselves in hockey purgatory as a strong team that doesn’t quite have the goaltending or depth to compete in the treacherous western conference. Vladdy Tarasenko, Brayden Schenn and Alex Pietrangelo excel as all-star caliber contributors, but Jake Allen hasn’t shown the ability to serve as a solid number one goalie yet. The Blues will have a shot at participating in the post season, but not much more. Dallas made the smart move, locking up Tyler Seguin to a lengthy contract before the season commenced. Tyler and Jamie Benn form one of the finest one-two punches in the NHL, nearly impossible to keep off the scoresheet. If goalie Ben Bishop remains healthy, and Johan Klingberg improves defensively, Dallas could become a leader in the west. Tyler and Jamie Benn form one of the finest one-two punches in the NHL, nearly impossible to keep off the scoresheet. One of the best defensive clubs in the NHL, Minnesota will benefit from the return of Ryan Suter to full health, along with another season of incredible goaltending from Devan Dubnyk. The Wild will rely on aging vets Eric Staal and Zach Parise for top line production, which will limit this team against the Predators, Golden Knights and Jets. Father time and the salary cap have punished the Blackhawks over the past few years, forcing the club to shed excellent players while stars like Toews, Keith and Seabrook slowly become less effective. Chicago signed Cam Ward to back up the injured Corey Crawford, but neither goaltender seems able to backstop Chicago to another cup. One of the best surprises of the 2017-18 season was the rapid rise of the Avalanche, lead by Nathan MacKinnon’s evolution into an MVP caliber player. Mikko Rantanen emerged as an elite winger and the front office signed Philipp Grubauer – an underrated keeper who will compete with Semyon Varlamov for the number one spot in net. With good health, the Avs are one of the best longshots in the NHL. Perhaps the most fascinating team in the western conference, the San Jose Sharks now feature two all-world defensemen with 70-point upside. Evander Kane decided to stay with the club, while Pavelski and Couture will lead the forward corps again. The Sharks will be the most dangerous team in the league if goalie Martin Jones holds up his end of the bargain. Vegas enjoyed a season of historic success as the best first-year franchise in North American pro sports history. The Golden Knights only improved over the offseason, adding Paul Stastny and Max Pacioretty to the lineup, increasing the potency of the attack. Unless Fleury suddenly regresses, Vegas will be among the best teams in 2018-19. Jonathan Quick, Anze Kopitar and Drew Doughty combine to create one of the best cores in the NHL. At his best, Quick’s a top-three goalie, while Doughty and Kopitar have been among the best two-way players at their positions for years. Adding Kovalchuk may have been the offensive boost Los Angeles needed to return as a tough playoff contender. Similar to the 2017-18 campaign, injuries already make their mark on this Ducks squad. Fortunately for Anaheim, Ryan Getzlaf’s healthy and the club features terrific depth down the middle, offsetting the absence of Perry and Kesler. The Ducks remain tough to play against and a solid dark horse candidate to win the second cup in franchise history. An inexplicable losing streak at the end of last season extinguished the Flames playoff hopes, despite a deep blue line and superstar Johnny Gaudreau. An injury to goalie Mike Smith interrupted Calgary’s momentum, an issue which threatens the club again this season. If Smith stays healthy and Gaudreau receives support, Calgary will surprise in 2019. As long as the Edmonton Oilers have Connor McDavid, the franchise will have a tall ceiling every year. Nearly everyone surrounding McDavid had a tough season, an occurrence which shouldn’t repeat. Perhaps most important, Cam Talbot appears ready to regain his Vezina-worthy form displayed a couple of seasons ago, giving the Oilers a shot at returning to the post season. Arizona continues to stack young talent, acquiring Alex Galchenyuk to skate alongside Clayton Keller. Oliver Ekman-Larsson remains an elite defender while Anttii Raanta’s an underrated netminder. The Coyotes finished last season strong, but their ceiling for 2018-19 will be a surprise playoff berth in the western conference. Either way, expect improvement from this young club. Vancouver’s rebuild proceeded positively, despite injuries to Bo Horvat and Brock Boeser, which prevented playoff contention. The Canucks will be longshots to make the playoffs this season too, especially with a thin defense and unimpressive goaltending, but the future looks bright over the next couple of years.